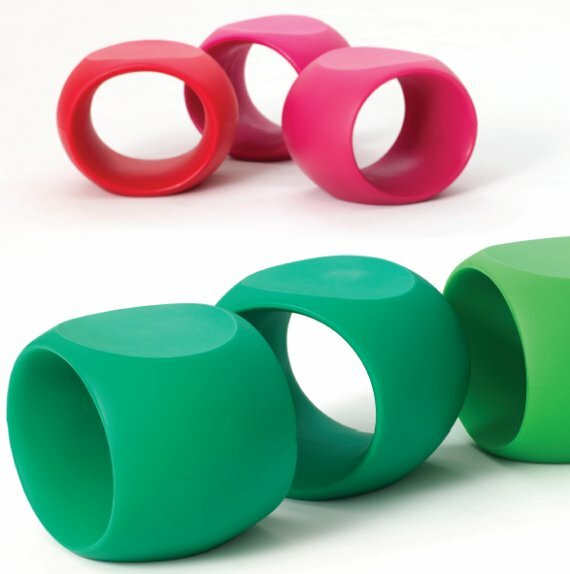 Australian designer Brian Steendÿk created the Cero Stool for Omvivo. The stools are roto moulded polyethylene and are UV stabalised with a glossy gel-coated finish. The streamlined styling of Cero references our busy ‘jet age’ lifestyles and stylistically the cowling of a jet engine. The external form of the Cero is a distinct circular donut with its associated void, and is both aesthetically pleasing and structurally innovative. The unique nibble in the top of the chair has been ergonomically designed to encourage good posture by tilting the pelvis forward to help transfer the weight of the head and torso to the bones of the pelvis and hip. Visit the Omvivo website – here. Visit Brian Steendÿk’s website – here.